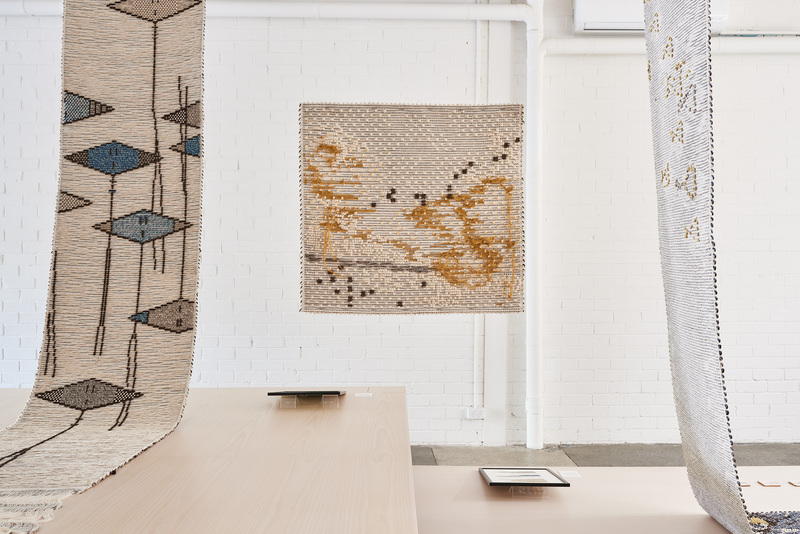 Thank you to everyone who visited our showroom during Melbourne Design Week to see our exhibition ‘Moving Landscapes’. We hope you enjoyed seeing Mariantonia Urru’s collection in collaboration with designer Paulina Herrera and getting a glimpse of the design process behind their unique designs. For those of you who didn’t get a chance to see the exhibition, here’s a recap! Arazzo Trigu - 70 x 70 cm - Hand-woven tapestry. Inspired by the shoreline of Sardinia, the ‘Moving Landscapes’ exhibition moves fluidly like the tide, capturing the essence of under-water life and the rugged coastline. For this collection, Mariantonia Urru partnered with designer Paulina Herrera to create a series of contemporary designs. 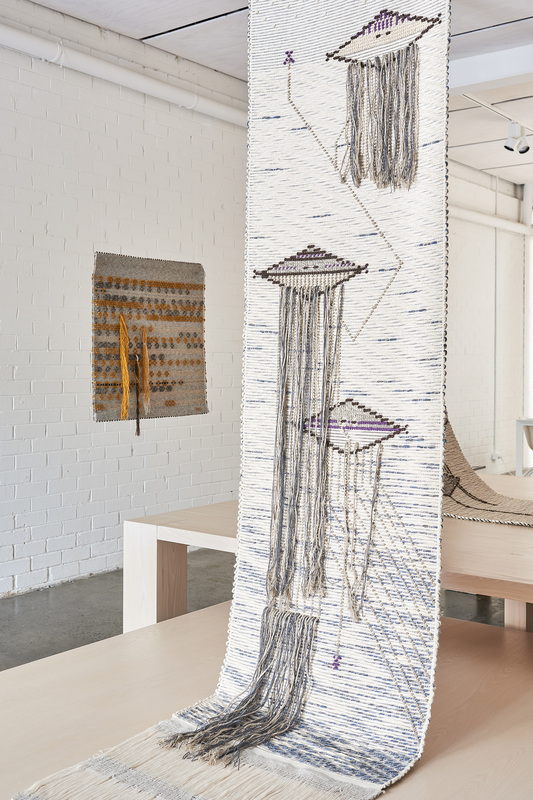 Starting with basic in-situ sketches, Paulina Herrera’s concepts progressed as she explored elements of her surrounding environment using watercolours, paint, ceramics and finally woven textiles. 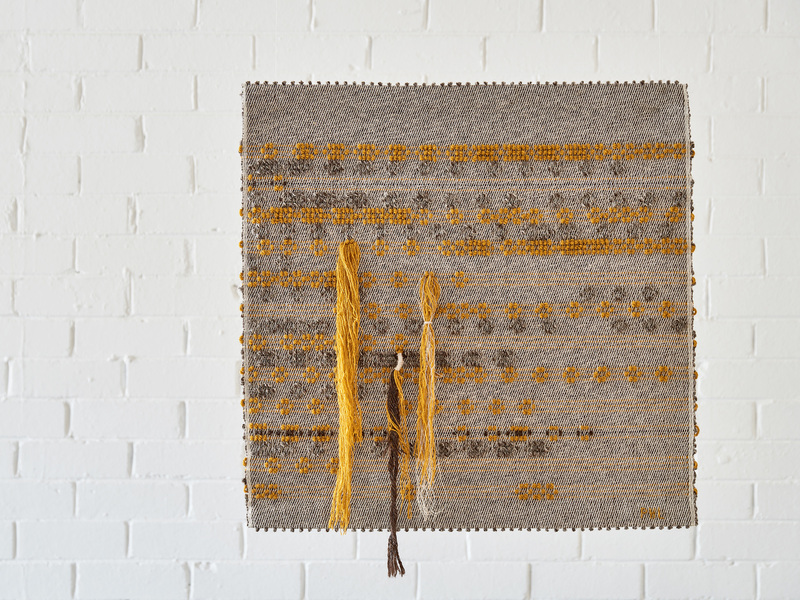 By embracing the traditional weaving styles that Mariantonia Urru are so well known for, the “Moving Landscapes” collection gained depth and texture much like the original environment which inspired Paulina Herrera to begin with. One of the three 'Capo Boi' tapestries representing jellyfish. Comprising of three scenes inspired by the Mediterranean sea, ‘Capo Boi’ is a series of tapestries capturing the movement of jellyfish, sting rays and schools of fish amongst the rich blue of the water. 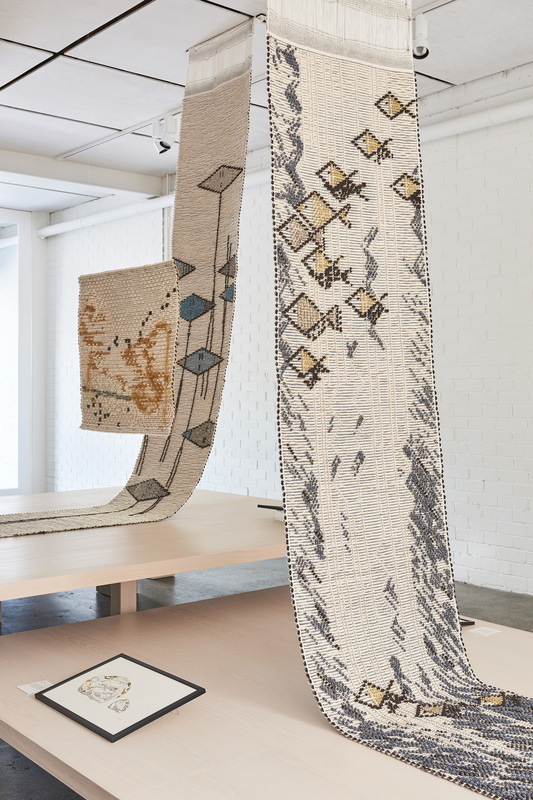 Each tapestry is woven using multiple weaving techniques and a mix of materials to encourage the light to interact differently as well as reproducing the motion of water and the movements of sealife within. This installation was initially designed for the Hotel ‘Capo Boi’ in Sardinia and was positioned in the entry which opens directly onto the shores of the Mediterranean sea. To see the entire Mariantonia Urru range or rugs, cushions and tapestries, please visit our showroom or check our website.